A major highlight at the American Chemistry Council (ACC) Annual Meeting was Shell’s announcement that it made a final investment decision (FID) to build a world-scale integrated polyethylene (PE) complex in Pennsylvania. The announcement, which surprised the many doubters on this project, underlined the continuing US shale gas advantage. Yet projects are not without challenges, evidenced by BASF’s decision to postpone the FID on its methane-to-propylene complex in Texas and Sasol’s cost overruns and delays at its Louisiana cracker project. Anglo Dutch energy and chemicals producer Shell’s project will be in the second wave of US crackers based on shale gas feedstock as it will start up beyond 2020. It also marks a sharper pivot towards chemicals. The chemical sector, including PE, will be a growth priority for Shell, said the head of its chemical business. “We are pleased with the performance of the chemicals business in the last five years, generating around 15% return on capital,” said Graham van’t Hoff, executive vice president at Shell Chemicals, who spoke at a press conference at the ACC Annual Meeting. “It was a strategic objective of Shell’s for several years to re-enter the PE business somewhere in the world but with a particular emphasis on North America. PE is around 65% of global ethylene consumption and we could not see ourselves continuing to grow ethylene without PE,” said van’t Hoff. Dubbed “Project Franklin”, Shell’s cracker will be the first built in the Northeast US. Such a massive complex will spur additional investment in the region in downstream and related businesses, bringing revitalisation to a region hard hit by the decline of coal. Clearly the opportunities are still there to harness the advantage of US shale gas, but major projects are likely to take longer to plan, and to build. Sheela Foam is looking to file IPO documents with Sebi by the next quarter, and the company might look to launch the IPO before March 2017. Mumbai: Sheela Foam Pvt. Ltd, which sells mattresses under the Sleepwell brand, plans to raise as much as Rs.500 crore through an initial public offering (IPO) by March, according to two people aware of the development. Edelweiss Financial Services Ltd and ICICI Securities Ltd will manage the process and work has been initiated on the IPO, said one of the two people cited above, requesting anonymity as the person is not authorized to speak to reporters. “The initial share sale will be majorly a primary fund-raising effort, however, the promoters might also sell some part of their shareholding through an offer for sale,” this person said. Sheela Foam is looking to file share-sale documents with markets regulator, the Securities and Exchange Board of India, by the next quarter, and the company might look to launch the IPO before March 2017, said the second person cited above, also requesting anonymity. “They will use the funds to invest in additional manufacturing capacity and new product development,” the second person said, adding that some funds will also be allocated for further brand building ahead of its IPO. Led by Rahul Gautam, Sheela Foam makes and sells polyurethane foam-based mattresses. 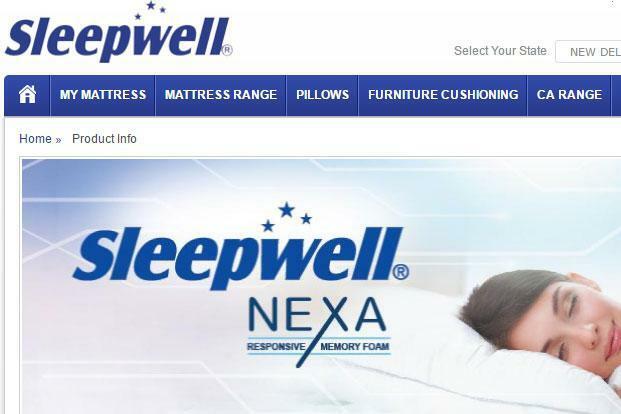 Sleepwell is the company’s flagship brand. The firm also makes foam for industrial applications. “We have nothing to share at this time. While an IPO is one of many avenues that we could choose to pursue, we are right now focused on building our business,” said Gautam in an e-mailed response to queries about his company’s IPO plans. E-mails sent to spokespersons for Edelweiss and ICICI Securities seeking comments remained unanswered. Sheela Foam has 12 manufacturing facilities and a nationwide network of more than 100 distributors and around 5,000 dealers. The company also exports its products to almost 25 countries, according to its website. In 2005, it acquired the polyurethane and polystyrene foam business of Australia-based Joyce Foam which has five manufacturing facilities and claims to have 35% market share in the polyurethane foam business in that country. Sleepwell in India competes with other home-grown brands such as Kurlon Enterprise Ltd, Springfit, and Springwel Mattresses Pvt. Ltd. Private equity (PE) firms have cozied up to mattress makers. In October, Kurlon raised Rs.90 crore from Motilal Oswal PE-managed PE fund, India Business Excellence Fund. A strong home-grown consumer story, such as Sleepwell, may generate interest from investors as seen in the recent public market offerings, experts say. “Public market investors are keen on consumer stories,” said Munish Aggarwal, director at investment bank Equirus Capital Pvt. Ltd. “Several of these companies have over the years invested in building strong consumer brands and positioned themselves as consumer stories, resulting in strong awareness of their brands among consumers,” said Aggarwal, adding that the positioning of the IPOs will be more as a consumer story even though the business might not be purely consumer-facing and have a large business-to-business element to it. He also warned that valuations will play a huge role. In 2016, PE backed consumer facing companies such as Parag Milk Foods Ltd and Quick Heal Technologies Ltd raised Rs.751 and Rs.451 crore, respectively, in their market debuts. So far in 2016, 10 companies have raised Rs.6,743 crore though the IPO route, compared to 21 firms raising about Rs.13,600 crore through IPOs in 2015, data from primary market tracker Prime Database shows. Ford wants to cut down on oil use by using captured CO2 in foams and plastics. As emissions regulations get tighter, there's a lot of focus on making engines more efficient, but engines aren't the only part of a car that are bad for the environment. The plastics and foams spread throughout the cabin are dirty to manufacture as well, so Ford is trying to tackle the problem by using captured CO2 in foam and plastic components. Fifty percent of the polyols in Ford's new foam are CO2-based, which means there is far less oil used in their production. The company plans on using the foam in seats and under the hood of its cars and by doing so, the Detroit giant says it could save up to 600 million pounds (272 million kg) of petroleum every year. At the moment, the foam is being tested to make sure it can stand up to the rigors of consumer use. The project has been running since 2013, and involves suppliers like New York's Novomer, which uses CO2 captured from manufacturing plants to create polymers used in foams and plastics. "Ford is working aggressively to lower its environmental impact by reducing its use of petroleum-based plastic and foam," said Debbie Mielewski, senior technical leader of sustainability at Ford. "This technology is exciting because it is contributing to solving a seemingly insurmountable problem – climate change." According to Ford, there are plans to develop more foam and plastic components using captured carbon in an attempt to reduce its dependence on fossil fuels and the new biomaterials could be integrated into its vehicles within the next five years. One of the five CLIP materials, the Carbon Rigid Polyurethane, is now directly available on our website. Once you’ve uploaded your part on Sculpteo, you can choose to 3D print it in Rigid Polyurethane (RPU). We are proud to say that we are the only online service that gives you the opportunity to have an RPU printed part in one click. More than a year ago, CARBON launched its new CARBON 3D M1. On the 1st of March, we made the 5 CLIP materials available on our website. We were the first service online to enable you to 3D print your creations in a CLIP technology. CLIP (Continuous Liquid Interface Production) technology, thanks to its continuous 3D printing process, allows the creation of parts with no visible layers. Parts are then very close to injection molded models, which makes it very interesting for prototyping. The 3D printing process itself being quicker than on any other technologies. We set up a PILOT Program (or Beta Program) to make the CLIP materials available step by step. As it is a new technology, we want to take the time to discuss with you about your projects and share some design guidelines. Based on our tests, we’ll advise you and evaluate the possibility to 3D print your part. For deeper information, you can refer to these few easy steps to use our PILOT Program. Today, we are taking the Carbon Rigid Polyurethane (RPU) out of the Beta Program to make it available universally on the website. It will be ready to use when you upload your part, no need to be on PILOT Program. RPU technology is resistant under stress, combining strength, rigidity and tenacity. It makes it an excellent material for electronic applications like computer mouses, cell phones, or other electronic housings. It is only available in black. Here are some examples and specificity on RPU. Each CLIP material we offer gives many differents possibilities for designers and engineers to build functional prototypes and production parts. We hope that you will make the most of this new possibility. Stay to our CLIP offer evolution by subscribing to our newsletter! - Director Thomas Grube accompanied BASF’s anniversary activities. - Footage shot in 13 cities on four continents. - Premiere on June 24 at the Festival of German Film in Ludwigshafen. For two years, prize winning director Thomas Grube documented the worldwide activities celebrating BASF’s 150th anniversary: from the preparation of the program, to the kick off of the Creator SpaceTM tour in Mumbai, to the finale of the anniversary in Ludwigshafen. The resulting film “Experiment 150 Co-creating for a sustainable future” will celebrate its premiere on Friday, June 24 at the Festival of German Film (Festival des Deutschen Films) in the Parkinsel district of Ludwigshafen. Dr. Kurt Bock, Chairman of the Board of Executive Directors of BASF SE, and Grube, the film’s director, will attend the premiere together with invited guests from politics, business and society as well as BASF employees. Employees can enter a company raffle to win tickets to the event. On Monday, June 27 and Friday, July 1, all interested viewers have the opportunity to attend a free screening at the Parkinsel. During the anniversary year, BASF adopted a new approach to innovation, working with internal and external partners to look for sustainable solutions to pressing challenges in areas relating to the three anniversary themes of food, smart energy and urban living. “The film is a striking and very authentic portrayal of the journey we began in our anniversary year: forging new paths together with our partners in order to develop exceptional ideas. With its strong visual language and intense emotionality, ‘Experiment 150’ is as riveting as a feature film,” said Elisabeth Schick, Senior Vice President Communications & Government Relations of the BASF Group. The film provides a glimpse behind the scenes of the anniversary celebrations around the globe. Grube conducted 130 interviews with BASF employees and experts from all over the world. The footage was shot in 13 cities on four continents, resulting in a total of 180 hours of material, which Grube edited into a two-hour film. “At first I couldn’t really make sense of what was behind BASF’s interest in cooperation. So I was all the more enthused about the courage and openness that BASF demonstrated with its anniversary program: opening up to friends and critics to work together on finding answers to pressing issues of the future,” said the director. Grube has received many awards. He won the Bavarian Film Award and the German Film Award for the cinema documentary “Rhythm is it!” in 2005. Since 1999 he has been realizing documentary and music films with BOOMTOWN MEDIA in Berlin. There will be two additional free screenings of “Experiment 150” at the film festival on Monday, June 27 (5 p.m. Festivalkino 1) and on Friday, July 1 (4 p.m. Festivalkino 2), each of which have 400 seats available for the public. Tickets can still be obtained for both screenings from the festival’s ticket agencies and will be available from the festival box office on June 27 and July 1. The 12th Festival of German Film in the Rhine-Neckar metropolitan region takes place from June 15 until July 3, 2016, in the Parkinsel district of Ludwigshafen. Since its founding in 2005, the film festival has focused on promoting German auteur cinema. BASF has been a primary sponsor of the festival from the beginning. The European spot price of polymer grade propylene has risen to be assessed at parity with the contract price for June at Eur652.50/mt ($740/mt) FD NWE, Wednesday, compared with a discount of 1-3% last week, market sources said. The rise was attributed to planned and unplanned outages which were restricting supply of propylene from steam crackers, refineries and propane dehydrogenation units. Polymer producer LyondellBasell had declared force majeure on polypropylene production from Tarragona, Spain on Wednesday following an unplanned shutdown at its propylene supplier. LyondellBasell is primarily supplied by neighboring BASF Sonatrach PropanChem's PDH plant, which has a propylene production capacity of 350,000 mt/year. Meanwhile, production issues had been heard at Dow Chemical's cracker in Bohlen, Germany, a customer said Wednesday. The cracker has an ethylene capacity of 565,000 mt/year. BASF's cracker Ludwigshafen, Germany is in planned maintenance this month. 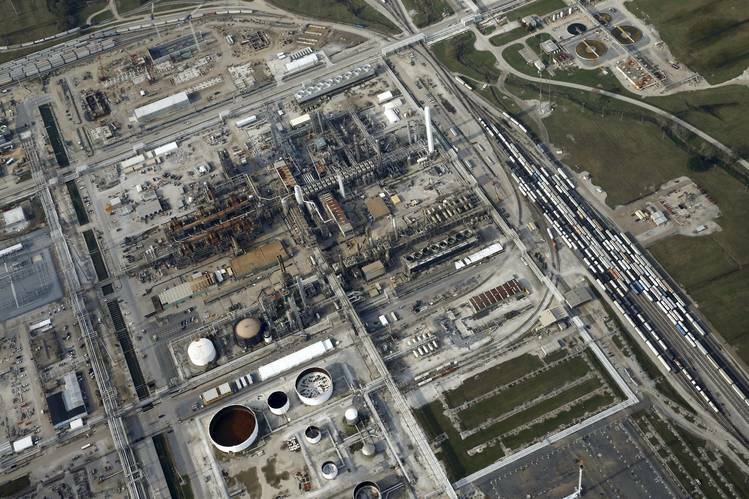 Maintenance at the 660,000 mt/year ethylene cracker is expected to last until July, market sources told S&P Global Platts. Naphtachimie's cracker in Lavera, France, remains in force majeure in response to strike action in the country. A buyer of ethylene from Naphtachimie said at the beginning of this month he did not expect the cracker, which has been under force majeure since the end of May, to restart production until this week. The Naphtachimie cracker, a joint venture between Ineos and Total, has the capacity to produce 775,000 mt/year of ethylene. BASF, Dow and Ineos were not immediately available to comment on their crackers. Strike action in France called by the CGT labor union against changes to labor legislation continues to disrupt refinery and port operations, impacting propylene supply. Total's refineries at Gonfreville, Donges, Grandpuits and Feyzin had been at a complete standstill since the end of May. Total confirmed Monday that Grandpuits had now restarted and a spokesman for the company said that some units at Gonfreville and Feyzin were also now in a preliminary restart mode. However, Belgium's labor unions are calling for a nationwide strike June 24 against changes in labor legislation, which could impact refinery production again in NWE. The Senate on Tuesday approved legislation aimed at overhauling federal regulations governing thousands of chemicals businesses and consumers use every day, setting up the bill for President Barack Obama’s signature in the coming days.The Senate’s approval on a voice vote comes after the House overwhelmingly approved the bill, 403 to 12, and it represents a rare bipartisan action in a year Congress has been largely focused on presidential politics. The bill is the first significant update to U.S. chemicals safety law in 40 years and would expand the federal government’s power over chemical companies. Trade groups representing Dow Chemical Co. , DuPont Co. and others pushed for the legislation because the companies preferred one federal standard over a patchwork of state and corporate policies by large retailers, such as Wal-Mart Stores Inc. , and because they saw consumers becoming increasingly concerned about the safety of everyday products such as household cleaners. The legislation is the product of months of bipartisan negotiations with Sen. James Inhofe (R., Okla.), and Sen. Tom Udall (D., N.M.) playing key roles in the Senate negotiations. The bill gives the Environmental Protection Agency the authority to evaluate and impose restrictions on chemicals used in everything from dry-cleaning to grease removal to paint thinners. In most cases, that authority pre-empts states from passing laws to regulate a chemical while the EPA is making its determination. Sen. Rand Paul (R., Ky.), temporarily held up the bill, arguing it gives EPA unduly power to regulate business. He ultimately dropped his objection to the bill, allowing it to proceed. London, 7 June (Argus) — Shell said it will prioritise chemicals in its growth strategy for 2020 and beyond, including pushing ahead with a new 1.5mn t/yr cracker and polyethylene plant in Pennsylvania. The main construction work for the multibillion dollar plant is due to start in 18 months. Once on stream — early in the 2020s — the plant will increase Shell's ethylene capacity to some 8mn t/yr from 6.2mn t/yr today. The ethane feedstock will be sourced from shale gas producers in the nearby Marcellus and Utica basins. Shell began considering an ethane cracker in the Marcellus region five years ago as the boom in natural gas production from shale began to take off. Most chemical producers have been reluctant to venture into the region because of its distance from pipelines, salt storage caverns and other infrastructure found on the US Gulf coast. But Thai petrochemical manufacturer PTT Global Chemical and Japanese trading firm Marubeni say they continue to consider building a cracker in the region but have not announced a final investment decision. Shell chief executive Ben van Beurden said the company is focusing on "intrinsically, fundamentally advantaged" projects as part of its strategy, describing petrochemicals projects with "low cost with no-alternative-value feedstock." as advantaged. Pennsylvania has large ethane reserves that could be piped to the US Gulf, Van Beurden said, where most of the US petrochemical industry is based, but that this alternative would result in "a pretty poor netback" compared to keeping the gas in the northeast of the country. Approximately 160,000-180,000 b/d of ethane is rejected in the Marcellus region, while it can cost about 20¢/USG to ship it to the US Gulf coast. At the same time, the bulk of the polyethylene demand in the US is in the northeast, justifying the construction of a cracker and polyethylene plant for the domestic market rather than sending material to the US Gulf for exports. Shell has been in discussions with the Pennsylvania government to ensure the project receives "advantageous treatment" but did not provide further details. The plant will be located about 30 miles north of Pittsburgh along a stretch of the Ohio river that was previously home to a zinc smelter. It is expected to create about 6,000 construction jobs and 600 permanent jobs while creating a hub for related petrochemical businesses. Shell's announcement comes a day after German chemicals group BASF delayed a final investment decision on a proposed methanol-to-propylene plant in Freeport, Texas, citing "current volatility of raw material prices and the prevailing economic environment," despite widespread production of ethane from the shale in Texas. Chevron Phillips Chemical, ExxonMobil Chemical, Dow Chemical, Sasol and Formosa are set to add new US ethylene production in 2017-2018 on the US Gulf coast. On 12 April 2016 Era Polymers, an Australian owned and operated company specialising in the field of polyurethane chemistry, celebrated its 30th birthday. The company was started in 1986, in a home office, by George and Tina Papamanuel. Since those humble beginnings it has grown to become the largest independent Polyurethane Systems House in Australia. Today, Era Polymers' products and service are exported to over 70 countries worldwide. According to the company, its product portfolio includes, amongst others, one of the most diverse ranges of cast elastomer prepolymers, spray polyurethane and polyureas, rigid and flexible foam systems, rubber binders as well as timber floor coatings. The company is operating six divisions: Elastomers, Foams, Coatings, Machinery, Trading, and Toll Manufacturing. It has two manufacturing facilities, in the Sydney suburb of St. Marys, as well as an Administration and R&D Centre in Banksmeadow, NSW. Era Polymers sales offices include Brisbane, Melbourne, Adelaide, as well as Singapore. Stocking points are located in all the capital cities of Australia, as well as Malaysia, Shanghai, Dubai, Belgium, Canada, and the USA. Additionally, customers worldwide are serviced by its global distributor network.